PINEVILLE, La. 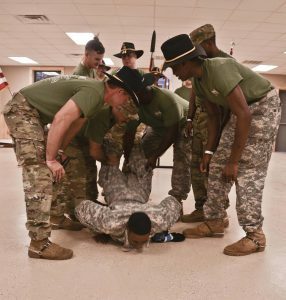 – The Louisiana National Guard’s 2nd Squadron, 108th Cavalry Regiment, 256th Infantry Brigade Combat Team awarded silver spurs to seven Troopers during the annual Spur Ride at Camp Minden in Minden, Nov. 4. 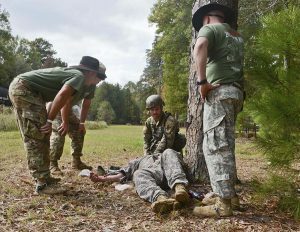 The Spur Ride is a two-day event unique to the cavalry which incorporates cavalry history and training for Soldiers that tests their knowledge of scout reconnaissance skills. This year’s class consisted of 27 candidates attempting to earn their spurs. 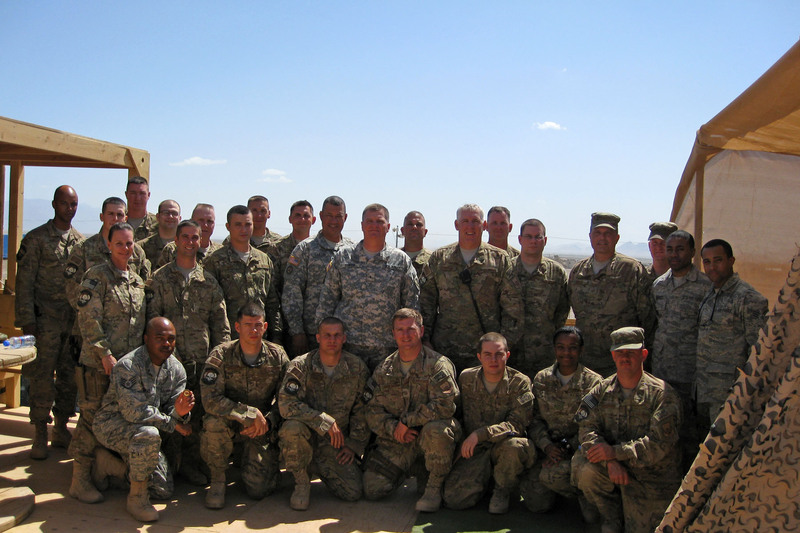 “It’s a tradition that we use that’s combat proven to establish comradery and give our Troopers a sense of belonging to the troop,” said Command Sgt. Maj. William Edwards, 2-108th battalion senior enlisted advisor. Historically, Cavalrymen had to prove their ability to handle their horse and saber to earn their spurs. The tradition of awarding gilt spurs, rooted in knighthood, signifies entry into the ranks and fraternity of the mounted warrior. Today, Soldiers may earn two different types of spurs; gold spurs are earned in combat and silver spurs are earned outside of war by completing a Spur Ride. 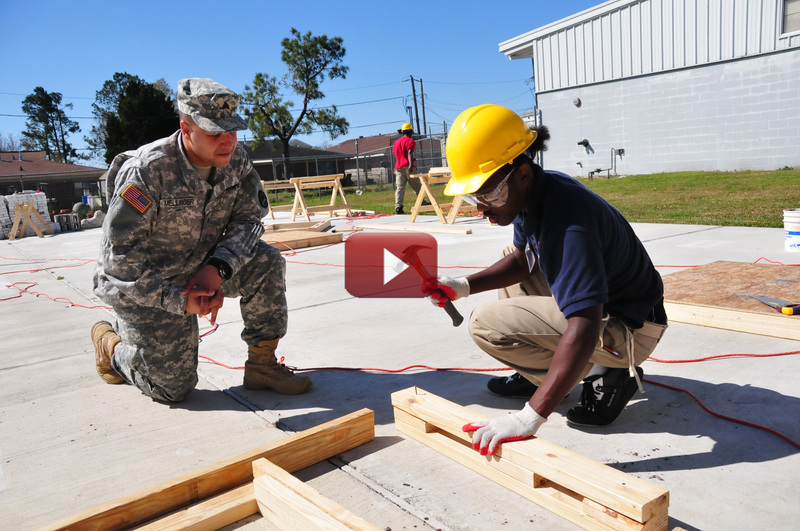 “It provides an opportunity for Troopers young and old, new and new to us, to prove their commitment to being the best the Cavalry has to offer. 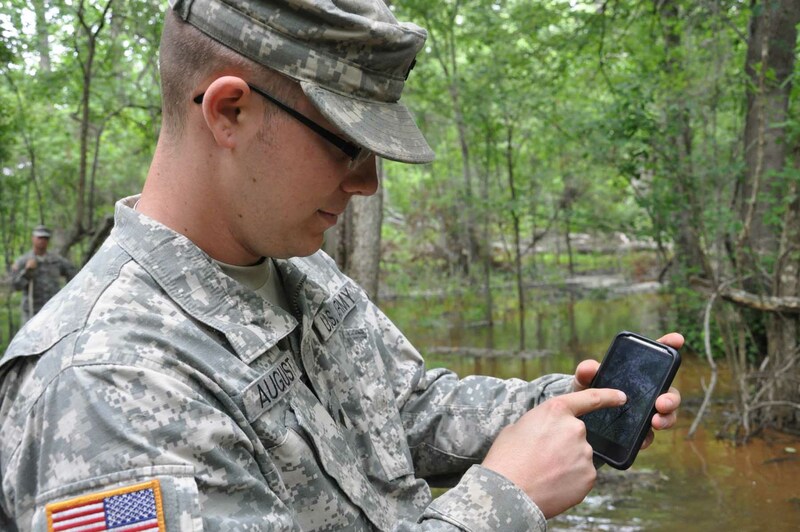 They gain a more solid grasp of their Scout competencies and prove their tactical knowledge,” said McKnight. Troopers have to meet certain requirements before they are able to compete in the Spur Ride. They must have their self-structure development courses completed, one year of drilling with the unit, attended one annual training period with the squadron, passed the Army Physical Fitness Test and have a first time qualify in individual weapons qualifications. Once Troopers meet these requirements they are eligible to be nominated by fellow Soldiers for the chance to participate and earn their spurs. Candidates show up on Friday night and meet the cadre, which are current spur holders in the squadron. Cadre check over the candidates’ gear to make sure they have everything required for the Spur Ride. Candidates must then conduct a map reading test and perform multiple physical activities, such as push-ups or sit-ups. “They are pushed to their absolute limits physically and mentally throughout the entire event,” said Mesloh. After a long night of little sleep, candidates perform a 12-mile ruck march and are given four hours to complete the march. While on the march, candidates are required to carry a 35-pound ruck sack and wear their helmet. Ten candidates completed the ruck march in the allotted time to move onto the Army Warrior Tasks round robin. The round robin consists of 13 stations candidates must complete. 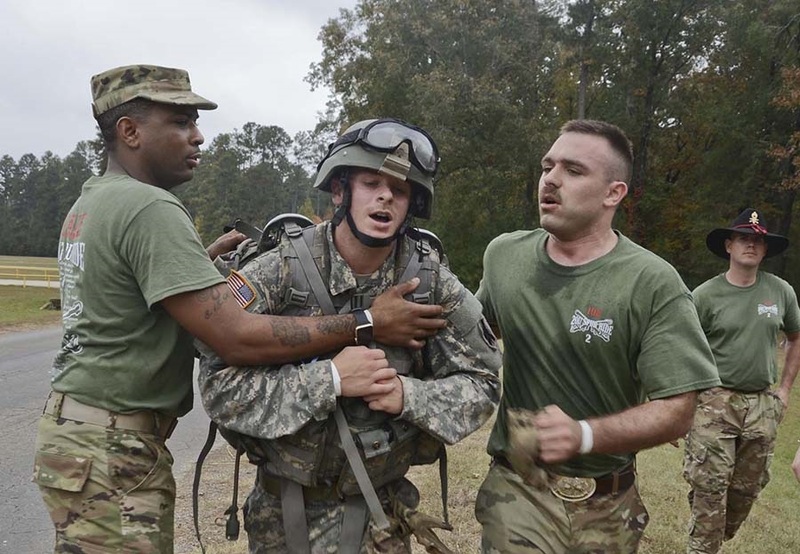 Each station tests the candidates on different basic warrior tasks. The stations included disassembling and reassembling different weapons systems in a certain amount of time, properly donning chemical-biological-radiological-nuclear protection gear, calling in a 9-line MEDVAC, calling in an obstacle report and providing first aid to a wounded Soldier. 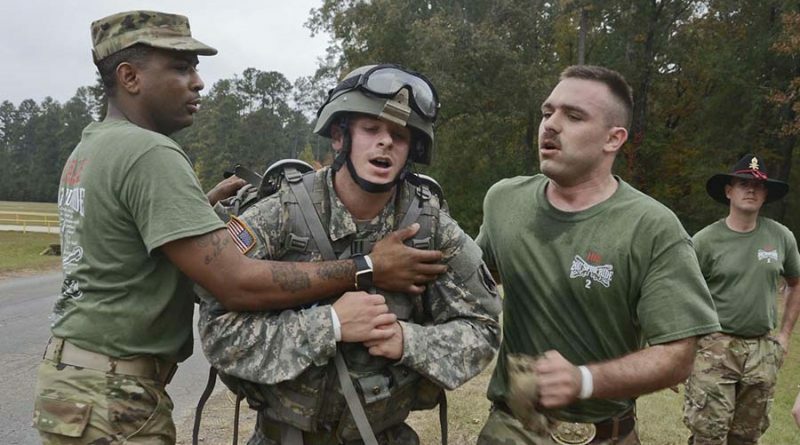 During the round robin, cadre are pushing the candidates to their limits in terms of stress and physical limitations. “Earning these spurs means something. It’s something special only to our unit,” said Huff. Mesloh says that the Spur Ride is important because it really brings in the importance of esprit de corps. the motivation in the squadron. 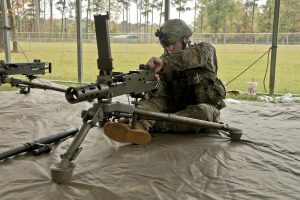 It helps build strength, fellowship among the Troopers and it helps bring us all together to stay motivated throughout any mission,” said Mesloh. At the end of the day the entire class attends a Spur Banquet where candidates are joined by former spur classes for dinner and to be presented their spurs. Each Candidate was presented their spurs by current spur holders in their troop.